Ministers have defended the Chancellor's flagship Budget stamp duty cut to help young people get onto the property ladder, after the official economic watchdog warned it could simply drive up house prices. 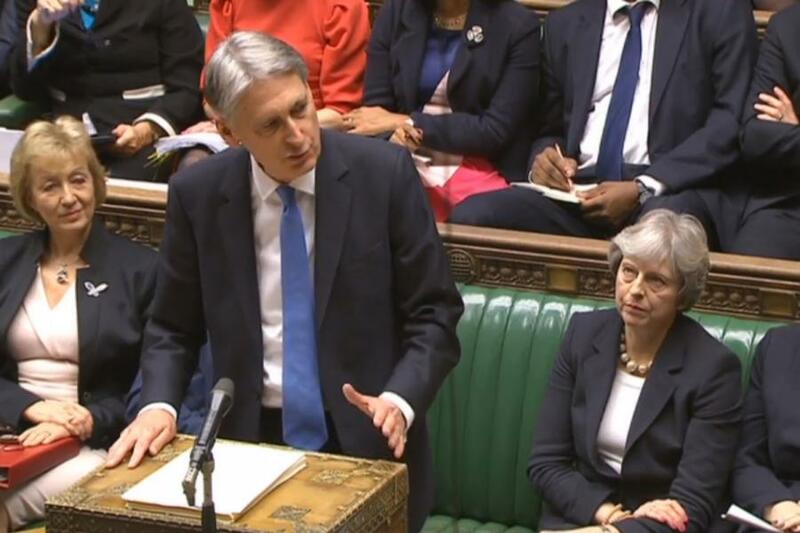 Philip Hammond abolished stamp duty for first-time buyers on properties worth up to £300,000 as part of a giveaway package which pumped an additional £25 billion into priorities such as housing, infrastructure and the NHS. But the Office for Budget Responsibility (OBR) took the shine off the move by predicting it would push up prices by around 0.3% - meaning many first-time buyers would have to pay more than they otherwise would while the main gainers would be people who already owned a property. While she acknowledged that ultimately the way to get more people onto the property ladder was to build more houses, she said the Government also wanted to offer short-term help to people who had been struggling for years to buy a home. "I think the main gainers are people who will now be able to buy their own home and get on the housing ladder," she told BBC2's Newsnight. "Of course we need to increase the supply of homes. But we really felt it was necessary to do something now to help those who have struggled for a number of years. That is what this measure is about." For Labour, shadow chancellor John McDonnell said: "The Chancellor announced no measures to directly increase house-building and, without that, lifting stamp duty for some will only drive up prices and benefit sellers." In its report, the OBR said the stamp duty cut could result in as few as 3,500 additional home purchases a year while costing the Treasury more than £3 billion by 2022/23. Treasury sources argued the measure, which will also apply to the first £300,000 of homes worth up to half a million pounds, would be a welcome boost to first-time buyers, with 95% seeing a cut in the amount of stamp duty paid and 80% paying none at all. The move came as the OBR issued a grim set of economic forecasts, downgrading its predictions for growth for each of the next five years as a result of the UK's continuing poor productivity performance. With growth forecast to average just 1.4% over the period, OBR chairman Robert Chote said it now looked "unlikely" Mr Hammond would achieve his target of eliminating the deficit in the public finances by the mid-2020s. The Resolution Foundation calculated individual disposable incomes would be £540 lower in 2023 than was being forecast at the time of last Budget in March, while annual pay would be down around £1,000. The living standards think tank said pay levels would not now return to their peak of 2008 - before the global financial crisis hit - until the middle of the next decade, marking an unprecedented "17-year pay downturn". The extra cash for health includes £2.8 billion for day-to-day spending to help NHS England deal with pressures this winter while Mr Hammond also promised to fund any increase in health staff pay resulting from current negotiations on improving efficiency. NHS England chairman Sir Malcolm Grant said while the money would go "some way" towards filling the funding gap, the health service could "no longer avoid the difficult debate" on what it could provide on the funds it has.